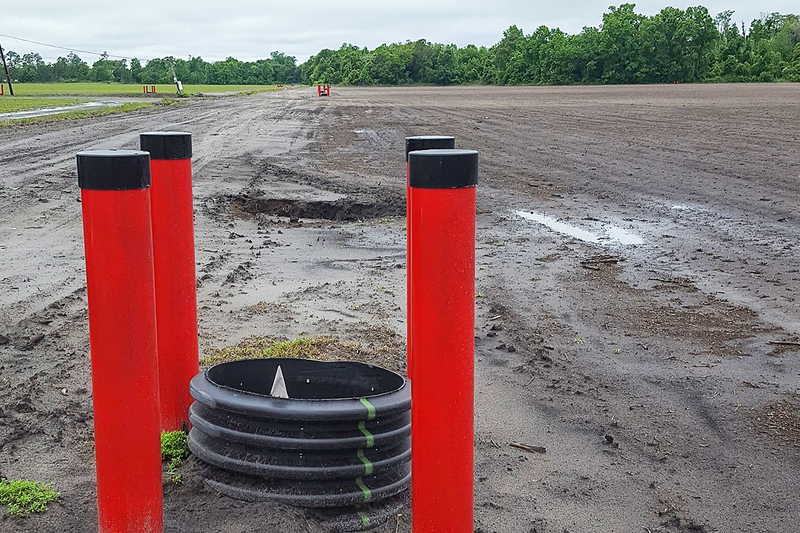 Pictured is a recently installed control structure that is part of a sub-irrigation drain tile project to conserve water in St. Johns County. 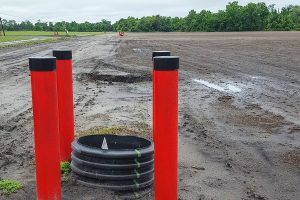 PALATKA, Fla., April 9, 2019 — The St. Johns River Water Management District Governing Board on Tuesday approved moving forward with contracts for eight diverse agricultural projects, totaling nearly $1.3 million in cost-share funds, that will reduce water use by 1.53 million gallons per day and reduce nutrient loading in the Tri County Agricultural Area (TCAA) of Putnam, St. Johns and Flagler counties. The board authorized the district’s executive director to execute contracts with the selected growers to share in funds provided by the district, the Florida Department of Environmental Protection (FDEP) and the Florida Department of Agriculture and Consumer Services (FDACS). Projects include an aquaponics operation in Putnam County and a tailwater recovery and reuse project in Flagler County, which have the dual benefit of offsetting groundwater use and collecting and recycling nutrients. Other projects include irrigation conversions and retrofits to improve efficiency. The eight projects will reduce farms’ water use and are anticipated to reduce total nitrogen loading by 34,408 pounds per year and total phosphorus loading by 5,356 pounds per year. Funding for the TCAA Water Management Partnership cost-share program is provided on a year-to-year basis by FDEP, FDACS and the district. With assistance from the University of Florida in ranking the applications, the agencies select agricultural projects in the Lower St. Johns River BMAP, which is impaired for total nitrogen and total phosphorus, for cost-share opportunities. A fourth partner, the Natural Resource and Conservation Service, provides federal funds for cost-share opportunities in the TCAA. More than 94 projects have received funding since the partnership was initiated in 2012. These projects are anticipated to contribute to the improved health of the St. Johns River through on-farm and regional water management projects and practices that reduce the movement of nutrients to the river, improve water conservation and result in more efficient farm management while maintaining the long-term viability of agriculture in the TCAA.